I had the opportunity to design some sample covers for MARVEL. 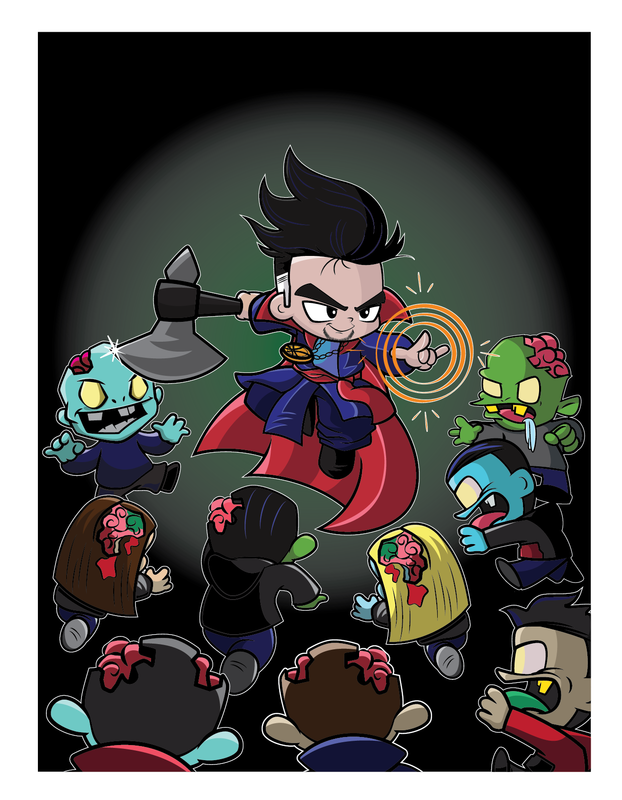 The request was to have Doctor Strange surrounded by super zombies holding his axe. The original design was hand drawn and the completed image is vectored and colored in Adobe Illustrator.